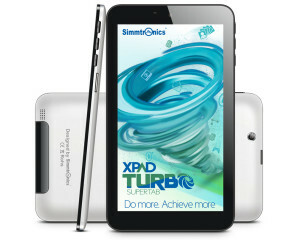 Simmtronics has launched its latest voice calling tablet ,dubbed as Xpad Turbo. The new Turbo tablet comes with generic specs and the offering makes it perfect android tablet at this price tag. The most interesting things about the tablet are Dual SIM capability with 3G support, 8.5mm thickness and connectivity options. The Xpad turbo is priced at INR 8056 and it is available for purchase from online retailers. It would compete with Micromax Funbook Mini P410.